The new drain from Bullhassocks is now called South Level Engine Drain. At the same time Folly drain was dug. It ran from Bullhassocks pumping station alongside another drain part of the way to Pilfrey Bridge and then to the R, Trent at Derrythorpe. A second cut was made to Keadby from Pilfrey Bridge to enable both Althorpe sluices to take new Torne water. The new Idle river passed under the R.Torne at Pilfrey Bridge and then to Keadby. In about 1813 a new drain called Cataline was dug to help the drainage of the Sandtoft area, it runs parallel to Hatfield Waste drain and is the south of Double Rivers. Just before Pilfrey Bridge it goes under its partner and is the Northern of the three rivers at Keadby. All this was a great improvement to the drainage. However in 1828, the summer was so wet that the R. Trent was too high to accept drainage water from Axholme. A committee was set up to look at the problem and concluded that drainage should be directed to Adlingfleet, which is what Vermuyden should have done two hundred years earlier. In July 1829 George Walther surveyed the water levels of the R. Trent and recommended a direct drain to the R. Humber. His plans envisaged a huge waterway one hundred and fifty feet wide at the bottom, which with sloping and banking would have been about three hundred feet wide. His plan was to excavate from Idle Stop to the R. Humber and anticipated it to be a tidal river used by shipping along with Bykersdyke being used as a waterway route to Gainsborough. The estimated cost was three hundred and fifty four thousand pounds. Sixteen trial borings were made to plan the route, an Act of parliament authorised the work and it would probably have been carried out, if it had not been for the development and introduction of pumping station. The first pumping station was introduced at Misterton Soss after the flood of 1828. In 1837 Sir Robert Sheffield installed an engine draining West Butterwick South Moor. 1858 saw the opening of Bullhassocks pumping station and Dirtness followed in 1867. The engine at Dirtness was renewed in 1928 and the present electric pumps installed in 1952. Other pumping stations at Snow Sewer, Candy Farm, Goodcop, and Tunnel Pits were built in 1962, along with the key pumping station at Keadby, where most of the Isle's water is pumped into the R. Trent. The six pumps at Keadby date from 1940 and can lift up to one hundred and two million gallons per day each. The area drained by Keadby pumping station is approximately ninety three thousand four hundred acres. The Severn and Trent Water Authority and local Drainage Boards still continue to improve and manage the drainage to this day. In 1972 Skyers Drain, west of Epworth Turbary was dug, to feed, by a small pumping station into South Level Engine Drain. Extensive improvements to Southfield pumping station at West Butterwick costing £365,000 were completed in 1999, also Keadby pumping station has been extensively upgrade in recent years. Some of Vermuyden’s original drains are still in existence and operate today even though they have been modified, at the new R. Torne, new R. Idle Drain, from Idle Stop to Dirtness, Dutch River at Goole and some dry channels from Pilfrey Bridge to Althorpe. What of Cornelius Vermuyden, the single main cause of this turbulent part of the Isle's history? He was born in the Netherlands, on the Island of Tholen near the mouth of the R. Scheldt in 1595. After training in the Netherlands, Vermuyden's first known activities in England were on the Thames, repairing a sea ﻿wall at Dagenham and the reclamation of Canvey Island, Essex, between 1621 and 1623, financed by the Dutch haberdasher Joas Croppenburg, to whom he was related by marriage. After his efforts of drainage on Hatfield Chase and the Isle he was knighted by Charles I on 6th January 1629 and became a British citizen in 1633. In about 1636 he seems to have sold his land in the area and withdrawn from the drainage works. He bought four thousand acres of land from the Crown in 1630, at Sedgemoor in Somerset, for twelve thousand pounds and Malvern' Chase in Worcestershire for five thousand pounds. He was also engaged in speculation at the Dove Gang lead mine at Wirksworth. 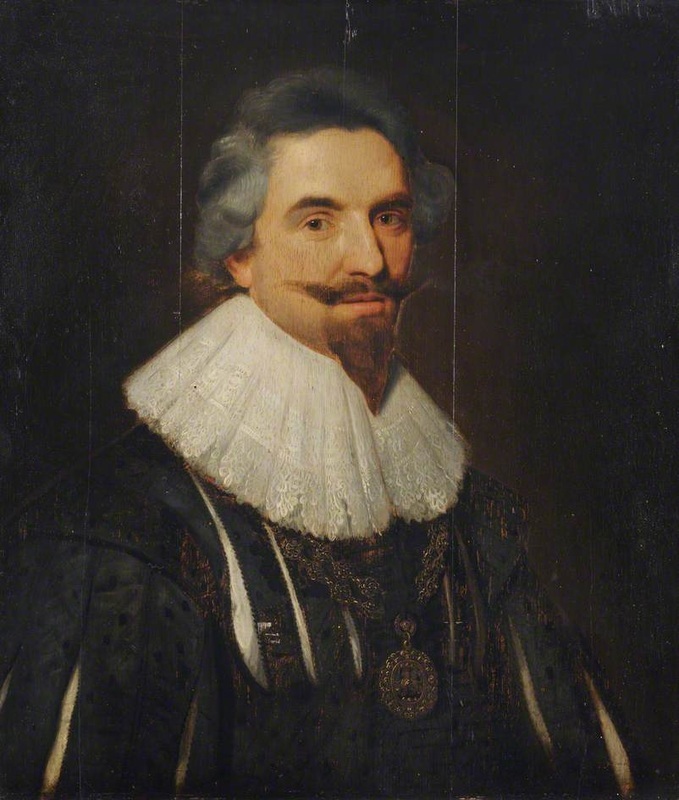 Also in 1630 he was engaged by Francis the 4th Earl of Bedford as engineer or director for the drainage of the Fens. He seems to have faded into relative obscurity in the mid 165O's. There have been many stories written of his actual end, some have him dying penniless in the poor house at Belton, others expiring of disease and bankruptcy in London. The truth of the matter is that after the mid 1650's his fortunes did decline somewhat but certainly not to the extent of bankruptcy, and he no longer seemed to be active in any drainage work or land speculation, his burial is recorded in 1677 at St Mary's Church Westminster. Cornelius Vermuyden painted in the 1650's (after Michiel Jansz. van Miereveld) Valence House Museum London.